on the Sun StorEdge 3220 Array. durability for the JMS messages. The 80 minute run for this submission required less than 5GB of database storage. This extrapolates to less than 90GB for a 24 hour period. 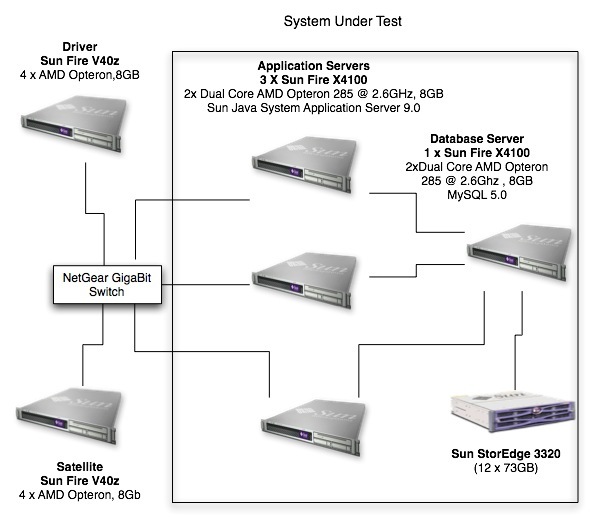 The Sun StorEdge 3320 Array drive capacity is 340GB of available storage when configured for RAID 1. Sun Java Systems Application Server 9.0 Platform Edition uses pass-by-value semantics by default. with the Sun Java System Application Server 9.0 Platform Edition.